A native of North Carolina, Cliff Renchen strives to bring his knowledge of health science and nutrition to Eastern Carolina. After graduating from The Citadel with his Master of Science in Health, Exercise, and Sports Science, Cliff dreamed of revolutionizing the health and fitness industry. Through this dream EXSS Fit was born. During his time at The Citadel, Cliff advanced his skills by obtaining a Level 2 Exercise is Medicine certification. Before moving to Charleston, Cliff earned his Bachelor of Science in Exercise Sports Science from East Carolina University. 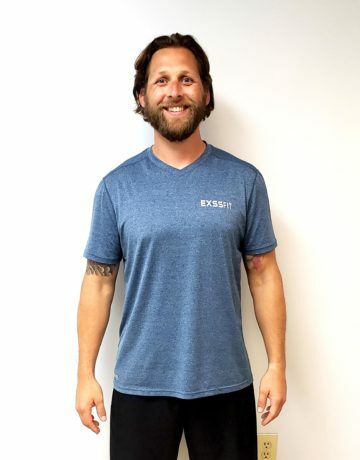 As an American College of Sports Medicine Certified Exercise Physiologist, Cliff provides strength training, sports conditioning, rehabilitation, show preparation, and nutrition counseling. In his free time, Cliff enjoys endurance races, physique training, hanging out with his family and friends, and loving his wife. I have a proven ability to work with my clients to enhance their current fitness program or develop a platform tailored to their needs. I combine nutrition, strength training, understanding of sports-biomechanics, mentoring, & conditioning to encourage a full level of one-on-one and group participation. I am a motivated, multi-talented fitness professional. My goal is to make my clients feel good about getting in shape & staying shape.